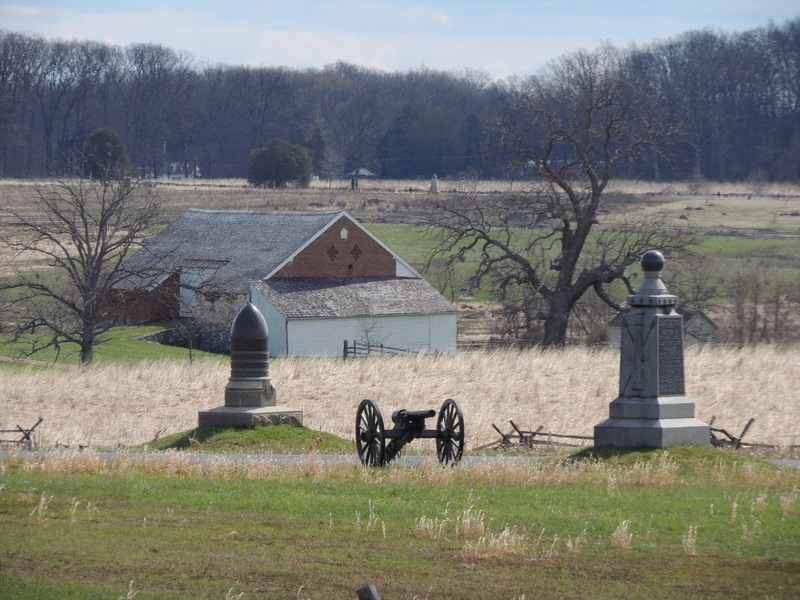 Last week, in Gettysburg, the good folks of the CompuServe Civil War Forum—one of the earliest and most enduring online Civil War Round Tables—held their 20th and last battlefield conference. Forty-some folks gathered from far and wide—from San Francisco (yours truly) and Albuquerque, from Toronto and Memphis, and many points in-between. It was a spectacular weekend in the company of some stellar Licensed Battlefield Guides, and an altogether fitting and proper close to two decades of battlefield tramping. 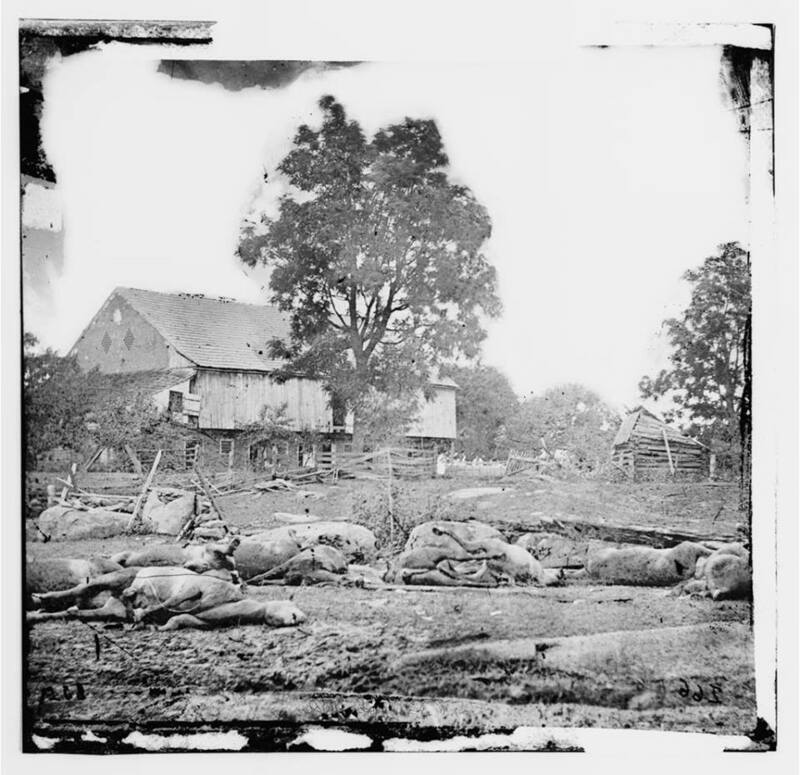 Timothy O'Sullivan image of the Trostle barn showing horses from Bigelow's 9th Massachusetts Battery. Note the hole from a Confederate artillery shell visible in the south face of the barn in both photos. Stuart Dempsey kicked things off with a detailed look at 11th Corps actions on the First Day. Chuck Burkell then took the reins for a full day’s touring of the Second Day fighting, and Chris Army spent a morning with us looking over Culp’s and Cemetery Hills, and the East Cavalry Battlefield, including a stop at the old stone barn on the Rummel Farm. Chris also took us by Power’s Hill, where the Civil War Trust is spearheading efforts to preserve an additional 26 acres along the Baltimore Pike. Chuck Burkell joined us again Saturday afternoon to conduct a walk of Pickett’s Charge. Highlighting our evening events was a moving and memorable talk on “The Meaning of the Gettysburg Address,” by Scott Hartwig at the Dobbin House. 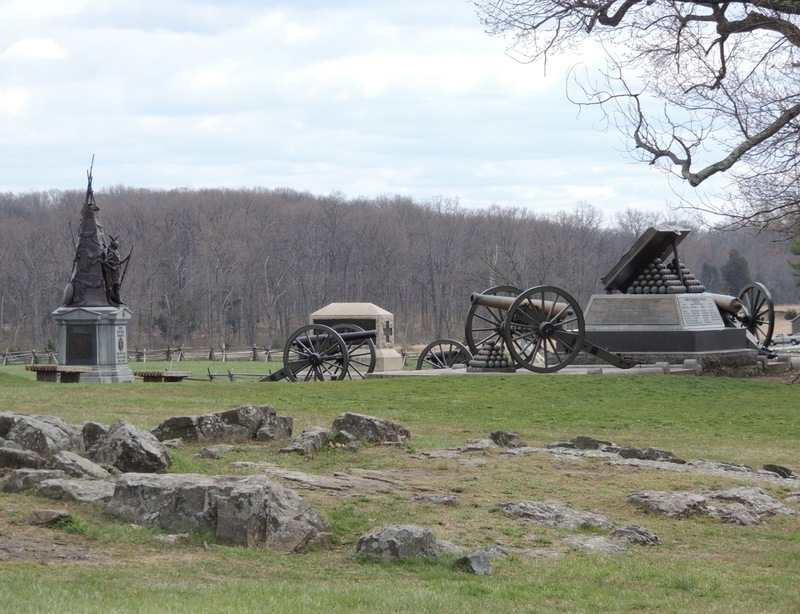 Scott was the historian at Gettysburg NMP for 34 years, overseeing a monumental transformation of the park facilities and landscape. 1997: Antietam and Harpers Ferry with Dennis Frye and Tom Clemens. 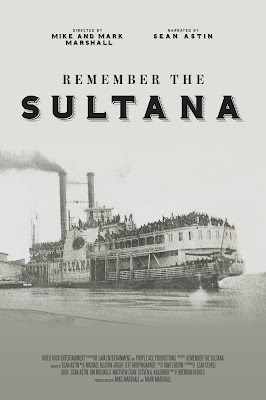 1998: Chickamauga and Chattanooga with Jim Ogden; talk by Sam Elliott.